Summary: Freeman and Beresford have stopped this from being a bland 90 minutes, but it never rises above average for the genre. During a car journey in this action thriller, one henchmen says to another: “I don’t watch foreign films…if I wanna read, I buy a book.” Whether that’s an ironic statement about action film audiences or not, it does sum up the safety zone The Contract plays into. It comfortably pushes all the buttons for a manhunt flick with car chases, kidnappings, assassinations, pursuits across dangerous terrain and helicopters aplenty. The strange thing is the talent involved in making this typical yarn. It’s always a lukewarm surprise to see two renowned stars turn up in films you had no idea existed until their DVD release, especially when accompanied by an Oscar-nominated director. The initial thought it could be a hidden gem tends to be taken away by a realisation that it probably won’t live up to the perceived potential. The Contract pretty much fills this model as Academy award winner Morgan Freeman and John Cusack take the lead roles with Bruce Beresford at the helm. The two actors have been permanent Hollywood players since the late 80s, and their films are normally greeted with some form of fanfare, while Beresford helped Freeman to stardom by directing him to Oscar glory in Driving Miss Daisy after being nominated twice himself. Their reuniting is not for another story to win any awards, rather it is a mild diversion mixing elements of Deliverance, The River Wild and The Fugitive with disappointing results. The Contract centres around aging hitman Frank Cordell (Freeman), on the run from his gang of thugs when he bumps into a father-son forest hiking trip. Single parent Ray Keane (Cusack) is trying to reconnect with teenager Chris, but his simple bonding session is ruined by Cordell’s attempts to shake the police and other hired guns from his tail. Ray is faced with the prospect of bringing a man to justice who might also get them all killed if he is kept alive, putting his son’s life at risk. The journey through the forest includes shoot outs, climbing down sheer rock faces, navigating treacherous bridges and a stand off in a log cabin as Beresford keeps the action coming as he did with another clone of The Fugitive: Double Jeopardy. 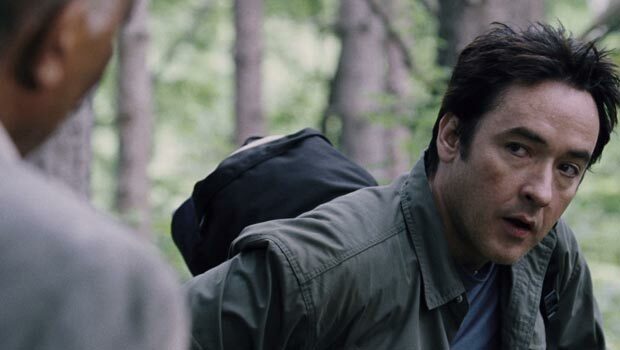 Freeman offers up his typical brand of sage-like knowledge between uncharacteristic moments of brutality which create an interesting contrast in his character, but Cusack looks shocked he ever agreed to the dull role of a father battling his own parenting demons. If The Contract had been in the hands of action mastermind producer Jerry Bruckheimer, it probably would have aped the success of his blockbusters such as Con Air and The Rock with lavish set pieces and explosive effects. The Contract has only the bare bones of action as the budget can’t stretch to the meaty effects needed to sustain the ropey characterisation. Freeman and Beresford have stopped this from being a bland 90 minutes, but it never rises above average for the genre.